Zombies; there is no dearth of fascination for these brain chomping undead creatures. 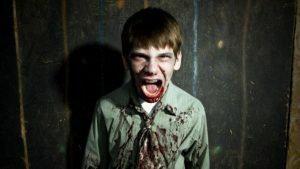 The subject of zombies occupy a central and definitive role in popular culture, ranging from their representation in books, films etc to our humble Halloween costumes. The attention and popularity enjoyed by these undead creatures is, simply put, rather astounding, not to mention, occasionally mystifying. 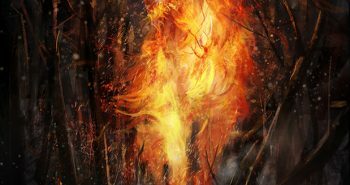 It is common knowledge that anything popularised by television shows, movies etc will sooner rather than later find its way, in some form or another to a social gathering. Almost every year there will be someone (here is looking at you, zombie enthusiasts) striving to create and represent the perfect zombie costume in an attempt to chill our bones and provide inspiration to our nightmares. The inherent beauty and brilliance of donning zombie costumes and make-up is its versatility, rummage around in your closet for a while and the chances of you inadvertently stumbling upon some forgotten piece of clothing to contribute to your costume is very high. You can wear your Halloween costume and then zombie-fy it. To zombie-fy one’s costumes is entirely dependent on one’s subjective understanding of what comprises a ‘perfect’ zombie. Fake blood, some liquid latex for creating wounds, mussed up hair, coloured lens, awkward body angles, a slow walk, deadpan albeit hungry expression, a few props here and there and no one will be able to question the credibility of your zombie costume. 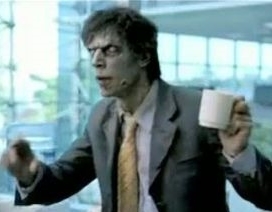 The unassuming zombie costume makes no great demands. 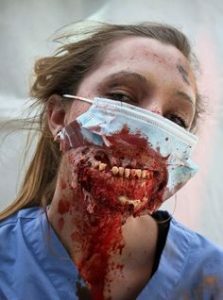 Here is a list of ten zombie costume ideas to give your costume that edge. Take a suit, the older the better, if the suit is frayed around the edges or even tattered, it is not a problem, instead it lends more plausibility to your desired appearance. Apply foundation, a few tones lighter than your skin tone to create a sallow look, create dark circles with generous amounts eye shadow. It would be wise to remember that excess is the key but not where eye makeup is concerned. Exercise restraint, aim toward creating a perfect balance between dark circles and greyish-white brow bones. Contour and highlight your cheekbones with white highlighter. As accessories you could carry your coffee cup and briefcase with you. You would be the zombie who bashes people over their heads with aforementioned suitcase before proceeding to eat their brains. A chef zombie with a penchant for crisping one’s brains in a saucepan as opposed to chomping on it in its raw form is far from reassuring or the baker zombie who will prepare and bake one’s body parts into a pie (a, la Sweeney Todd). A zombie with a certain preference in the method of the preparation of stray body parts and in what form it chooses to ingest that. Yes, it is too close for comfort. You could accessorise with a chef’s hat/apron, or visit the nearest prop shop to look for a brain in a jar or a faux meat cleaver, or a pie stuffed with body parts. After a childhood spent dealing with unrealistic standards set by (especially) Disney princesses in every aspect of life ranging from standards of beauty, ‘gender-appropriate behaviour’, quest for ‘true love’ because in fairy tales it all has to end with ‘true love’ and a ‘happily ever after’, (Cinderella, Snow White, Belle etc to name a few), it is bound to be liberating to break out of the assigned mould. 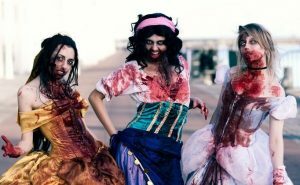 Put on a Disney princess costume, zombie-fy it and set out in you quest for the perfect brains armed with a shovel. Well yes, of course this is evil and wrong, on so many levels. One knows perfectly well how to go about this costume in particular. 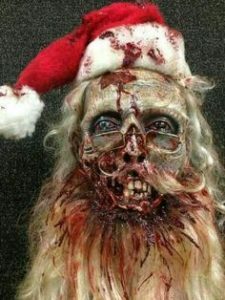 Have fun scaring the bejeezus out of the mindscapes of impressionable people who still believe in a good Santa Claus. This is the stuff that creates nightmares. One’s desire to have all their organs contained inside their body combined with the thought of a berserk surgeon zombie outside an Operation Theatre, pacing the dark, abandoned, impersonal and nightmarish hallways of the hospital, scalpel in hand in a world where zombies are the dominant force. This costume is a definite yes on the terrifying scale. Throw on a doctor’s coat or scrubs, fake blood, create fake protruding flesh with crumpled tissue paper, glue and colour, you are good to go. If you are willing to go that extra step, pair this costume with a pair of grey or white circle lenses. There is always that assurance that if zombies were to ever materialise (as improbable as it may seem, although to be honest, who hasn’t considered the validity of the Zombie Apocalypse coming into realisation at some point or another in their lives) so can superheroes. Is that a bird? Is that a plane? No. it is Superman coming to rescue us from these hordes of zombies, or it is zombie Superman flying in to provide his zombie friends with support and encouragement in their search for the last few humans. 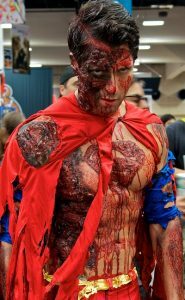 The possibility that Superman might be a zombie, a flying zombie nonetheless, is good enough proof that there is no Higher power and also that the extinction of the Human Race is imminent. Go as a zombie-fied superhero and ‘Serve and Eat’ instead of ‘Serve and Protect’. You can dress up as the zombie version of your favourite or not so favourite character from a book, TV series, cartoon, film etc. 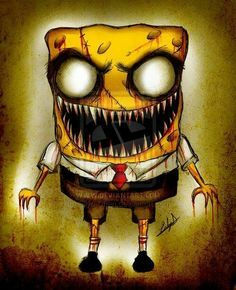 Imagine a groaning and complaining zombie Ross from Friends alternating between ‘Brains’ and ‘We were on a break’ to anyone who will listen, or a Zombie SpongeBob (this one should manage to frighten quite a few). The possibilities are endless. This is a smart choice of attire for a group consisting of a sizeable number of people wanting to rock that zombie costume. Everyone is free to dress, accessorise etc as they wish. They just need to be part of a larger story, i.e. a high school prom gone horribly wrong due to a zombie outbreak or a family gathering that has been massacred or a wedding party where everyone is turned into a zombie. The figure of the clown as represented in popular culture is terrifying. That bright red makeup alongside the ridiculous red nose and that ceaseless smile on a clown’s face is disconcerting to say the least. It has come to signify an implicitly sinister motif of homicidal violence (remember that clown from American Horror Story Season 4). 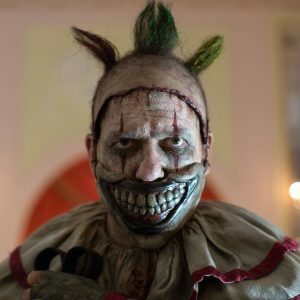 Pair a clown costume with zombie makeup and accessories and I, dear reader will be the first person to exit that party and wave goodbye to my peace of mind.